Between our laptops, phones, tablets and e-readers, it’s safe to say that we love our technology. Can you blame us? It makes life so much easier to have the Internet at our fingertips, plus we can do things so much faster (like Facebook stalking…er…we mean writing papers…) To make sure you’re plugged into the newest technology trends, here are seven of the best tech accessories to rock this school year. You know that sinking feeling when your phone reaches three percent and there’s no charger in sight. Well this year, you’ll never have worry about your phone dying in the middle of the day with this teal phone charging case ($99.99 at Office Depot)! It’s lightweight, protects your phone and holds 100 percent charge right when you need it. Talk about a lifesaver. Perfect for when you’re stuck in the library, this durable laptop will be your ideal study companion. With its thin design, it’s easy to take anywhere you go and its 500 GB hard drive will help you store all your assignments, music and photos. While it’s not the cheapest thing on this list at $529.99 (Office Depot), a laptop will always be a good investment. Now that you have your super cool laptop, you need an equally awesome case to carry it in! We’re obsessed with this stylish case from Herschel ($44.99). Not only is it adorable, it’s also double-lined with fleece so your laptop will always be protected. Plus, it comes in a variety of color combinations to match your personal style! If you’re not a coffee lover already, college will make you one. As much as we crave our Starbucks lattes, our caffeine habits have the potential to break our banks fast. Although this Keurig brewing system comes in at $99.99 (Keurig), investing in one will help you from going (completely) broke! Keep it classic with a white finish or pick a pop of color with red or jade. Whether you’re hitting the gym or studying in the library, you can’t go wrong with a solid pair of headphones. Now you can go cord-free with these wireless headphones ($99.09 at Office Depot), complete with volume, play/pause and skip controls. They also last for five hours so you can rock out no matter where you are on campus! On a similar music note (pun intended), bring the party wherever you go with this cute portable speaker ($13.99 at Target). Available in three different colors, this speaker is tiny but powerful. It can connect to any device that has Bluetooth and lasts several hours. Anyone else feeling a dance party coming on? Sometimes finding the motivation to work out can be tough. But with a Fitbit, it’s easy to keep track of your fitness goals, plus you can put it in stylish accessories to compliment your outfit! 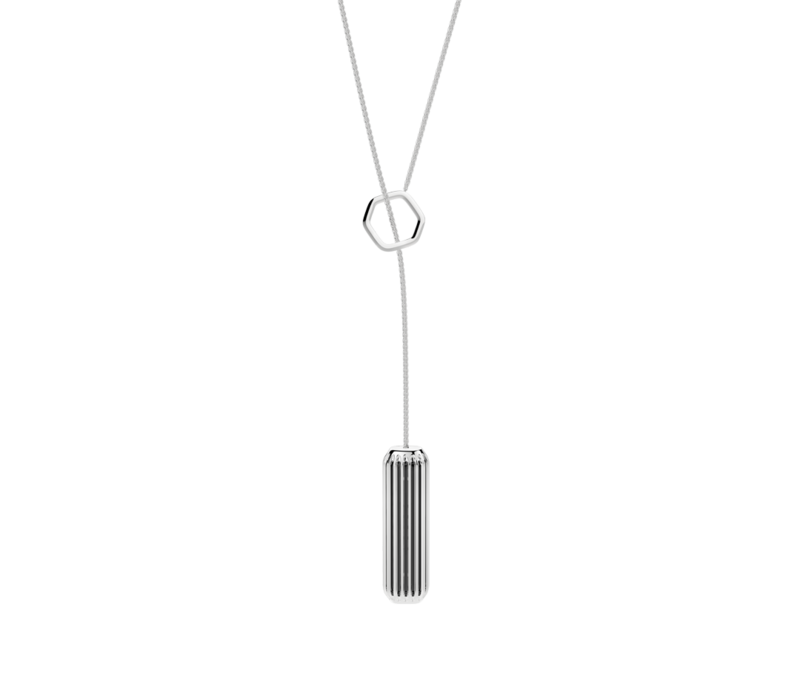 We absolutely love this edgy necklace pendant ($79.95) that perfectly holds any Fitbit Flex 2 tracker inside. You do have to buy the Fitbit Flex 2 separately ($59.95), but pairing fitness and style is always a win-win to us! Whether you need a new laptop or want to keep track of your fitness goals, we’ve got you covered. This is your year to become tech savvy with these trendy, cutting edge accessories!